The authorized biography of Steve Jobs is still on track for release this November, and the book will include details on his resignation as Apple CEO from Jobs' perspective. Publisher Simon & Schuster told PC Magazine that the author of the forthcoming book, entitled "Steve Jobs: A Biography," is still hard at work on completing the biography. Spokeswoman Tracey Guest reportedly said that Walter Isaacson "speaks to Jobs regularly and is still working on the final chapter of the book." The book remains on track to hit bookshelves in November, despite Wednesday's bombshell announcement that Jobs had resigned as the chief executive of Apple, the company he co-founded. Jobs still remains at Apple as chairman of the board. The book was originally set to arrive in 2012, but this month its release was bumped up to Nov. 21, 2011. The title is currently available for preorder from Amazon in both hardcover form, as well as in a digital Kindle edition. Simon & Schuster's description of the book states that Jobs "asked for no control over what was written nor even the right to read it before it was published. He put nothing off limits and instead encouraged the people he knew to speak honestly —even foes, former girlfriends, and colleagues he had once fired or infuriated." 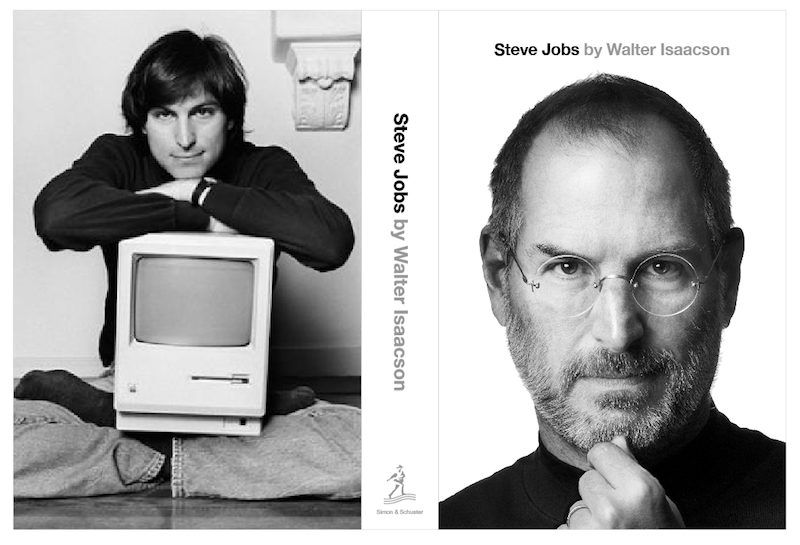 The book was originally titled "iSteve: The Book of Jobs, but the name was changed to the current "simpler and more elegant" selection. Isaacson, who has written biographies on Benjamin Franklin and Albert Einstein, said his wife and daughter felt the original title was "too cutesey." Jobs himself has said the book will be open about his own failures and mistakes and life. He said it will touch on subjects he is "not proud of," such as getting his girlfriend pregnant when was 23 years old. "But I don't have any skeletons in my closet that can't be allowed out," he said. There have been many unauthorized books about Jobs previously published, including 2005's "iCon Steve Jobs: The Greatest Second Act in the History of Business." Dissatisfaction with that title prompted tApple to remove all titles from publisher Wiley & Sons from its retail stores. Isaacson's take, however, is the first-ever official authorized biography of Jobs, with the Apple co-founder taking part in numerous interviews for the title. Isaacson is said to have received unprecedented access to the normally private Jobs, and even took a tour of his childhood home.